There appears to be confusion around the relative sizes of the old afton mine site and the proposed KGHM Ajax mine near Kamloops. 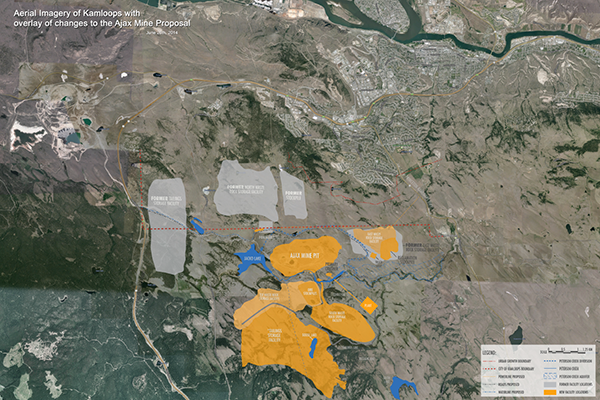 From Google Maps, we can see an aerial view of the current location of the mine. 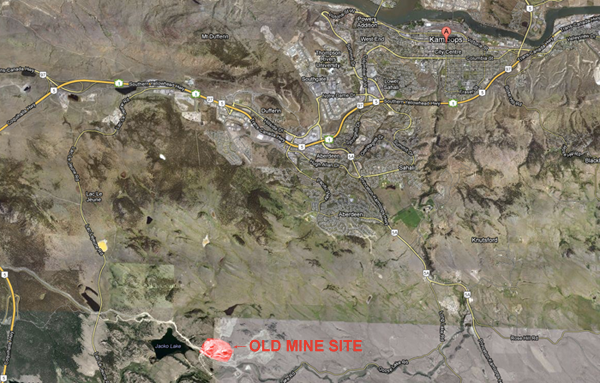 We've highlighted the old mine pit in red and labelled it so you can see its distance to Kamloops. 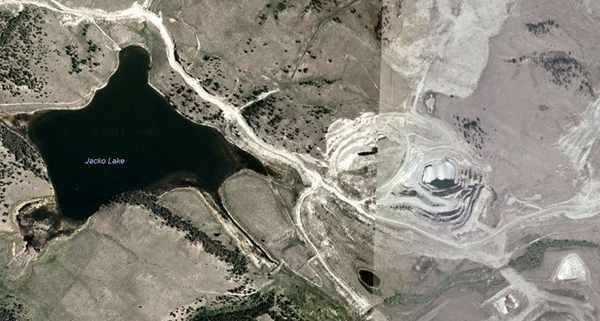 Here's a close up view to show you the scale of the pit compared to Jacko Lake. Now compare this to the map we had done that shows the size and footprint of the entire mine in relation to Kamloops, note the difference in size next to Jacko Lake... the mine pit will be at least two times the size of Jacko Lake, and much deeper, while the previous pit was smaller than Jacko Lake. These pictures make it absolutely clear that there is no comparison at all in the impact the old Afton Mine will have on Kamloops compared to the proposed KGHM Ajax mine. Also notice the size of the foot print of the mine project includings tailings storage and wasterock facilities, the two mine sites are not comparable at all.